NPK dust suppression kits are available for PH1, PH2, PH3 and PH4 hydraulic hammer in redesigned enclosed brackets. In 2016, OHSA introduced a new regulation regarding occupational exposure to respirable crystalline silica in construction work (1926.1153). Part xvii specifies acceptable work practices pertaining to heavy equipment used to break silica-containing materials, i.e. concrete demolition. The first option is to work from within an enclosed cab. If this is not possible, the standard says to apply water and/or dust suppressants as necessary to minimize dust emissions. NPK's solution is the add-on, water-ready dust suppression kits. NPK dust suppression kits are available for PH1, PH2, PH3 and PH4 hydraulic hammer in redesigned enclosed brackets. Starting in the fourth quarter, all PH1 to PH4 enclosed hammer brackets will be manufactured with the new design elements that allow these hammers to dispense water with just the addition of a hose and a couple of fittings. Just connect to existing water supply. An integrated water spray nozzle eliminates the need for manual spraying. 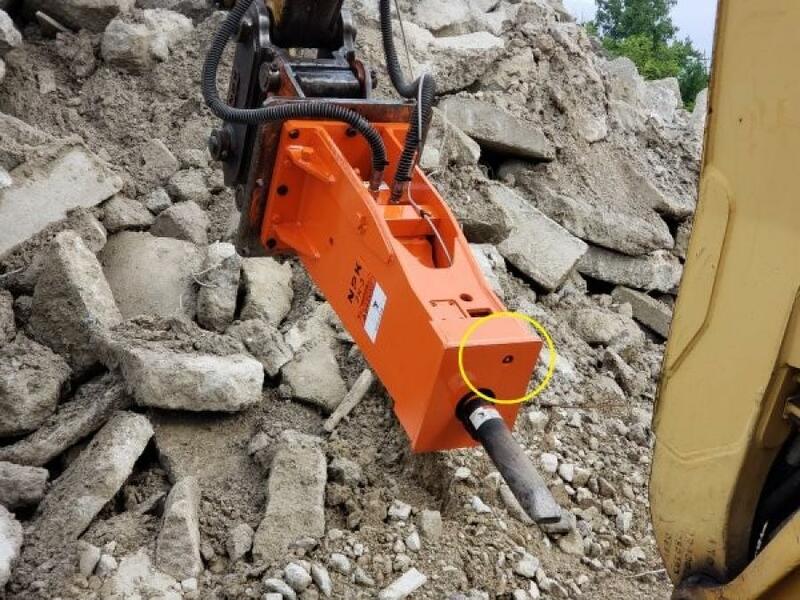 Located in the bracket of the hammer keeping it safe from flying debris, the nozzle is aimed at the point where the hammer's tool makes contact with the breaking area. This, combined with a wide spray angle, provides maximum dust suppression coverage. This kit helps to control airborne dust / silica in two ways. Upon breaking, particles are sprayed with mist; this mist combines with particles which increases weight and leads them to drop back to the ground. Secondly, the mist douses the breaking area prior to impact, thus reducing the amount of dust generated. However, water flow rates are low enough that the likelihood of flooding the work area is minimal. 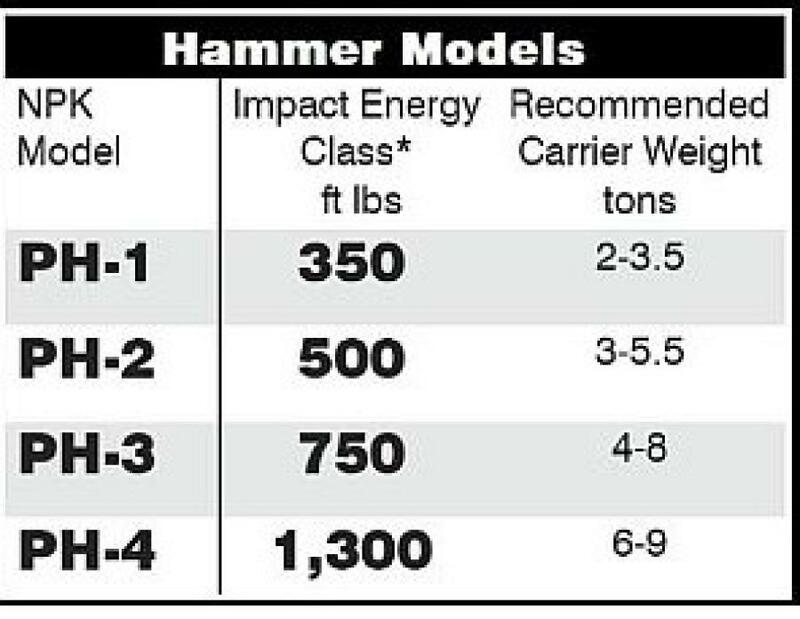 For use with mini excavators, backhoes or skid steers within the recommended carrier weight ranges. Visit the Attachment Wizard to see which NPK attachments are suitable for your carrier. For more information, visit www.npkce.com.